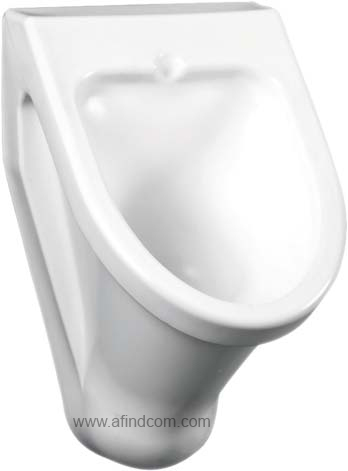 Plastic urinals are the most affordable option for affordable vandal resistant and safe installations. The AP-509 and AP-508 is designed to protect the p-trap that often is broken by vandals. The AP-509 is a super white plastic urinal and the AP-508 comes in black and granite colours. The small mini p-trap is optional since you can use your own traps. 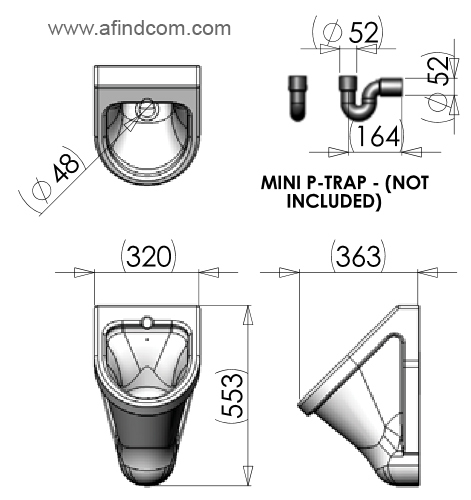 Quite often installers prefer installing the p-trap in a duct for extreme protection against vandals. The great advantage of these plastic urinals is that they can be used with a waterless urinal waste. 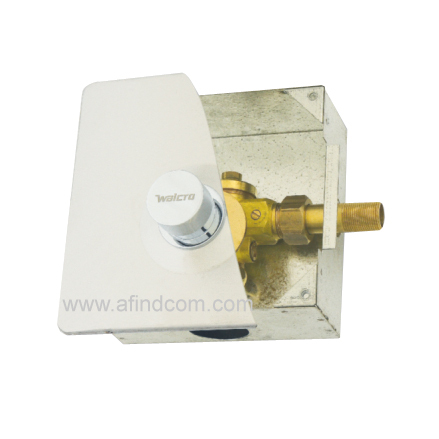 The Walcro 107CHP-UR urinal built-in boxed flush valve. 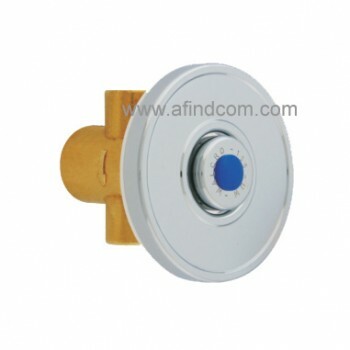 Ideal when the ability to access the valve is important.